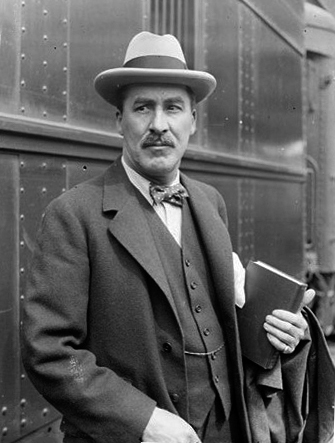 After hard years for Howard Carter, with little findings, Lord Carnarvon employed him to supervise Carnarvon´s Egyptian excavations in the Valley of the Kings. He had been introduced by Gaston Maspero, in order to ensure that Carter was able to impose modern archaeological methods and systems of recording. This research was interrupted during the First World War, but they enthusiastically resumed work following the end of the conflict. On early November 1922, Carter’s excavation group found steps that Carter hoped led to Tutankhamun’s tomb (subsequently designated KV62), and he wired his employer, Lord Carnarvon, to come to Egypt. On 26 November 1922, Carter made a “tiny breach in the top left hand corner” of the doorway, with Carnarvon, his daughter Lady Evelyn Herbert, and others in attendance. He was able to peer in by the light of a candle and see that many of the gold and ebony treasures were still in place. He did not yet know whether it was “a tomb or merely a cache”, but he did see a promising sealed doorway. Carnarvon asked, “Can you see anything?” Carter replied with the famous words: “Yes, wonderful things!”.